Bruce Gandy records many tunes for teaching his popular online sessions, for private students, workshops, and many just for listening himself. 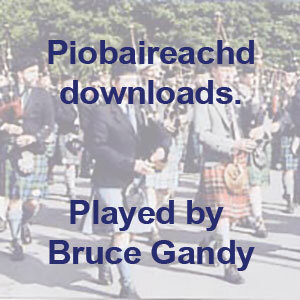 These tunes are all played on the pipes, and reflect Bruce's ideas about how to handle these tunes. Apart from all the learning opportunities, there is a lot of enjoyable music here for piobaireachd enthusiasts.